The two pranks are Google Tisp and Gmail paper.Lemme tell you about these two. Google Tisp : Google says It's a FREE in-home wireless broadband service.All you need to do is sign up for it and they will send you a kit which includes setup guide, fiber-optic cable, spindle, wireless router and installation CD. How can a company provide things like fiber optic cable,wireless router to everyone who just sign up?? Half of the Indian engineering college students never see such kind of things in their engineering life as college don't want to afford this kinda things and Google is distributing them freely.What a prank?? Now see the mechanism.They say you have to drop the spindle in your toilet and flush it.So that the cable can reach the nearby TISP access node ,where Googles Plumbing Hardware Dispatchers (PHDs) will remove the sinker and plug the line into their global data networking system.Who are these people working with the drainages of all those people who sign up? ?When did Google started to hire this kinda people?? ?Does Google has a system to find which drain pipe is of their registered users one? ?Aint it funny to hear Google doing these things?? They even provide some advanced services like enterprise support,nano robot installation support and Google checkout service.God,I hope none has registered for this prank till now!!!!! Google paper : This is on the Gmail home page.It is providing you printed version of mails in gmail through post.They say "The cost of postage is offset with the help of relevant, targeted, unobtrusive advertisements, which will appear on the back of your Gmail Paper prints in red, bold, 36 pt Helvetica. No pop-ups, no flashy animations"
Regarding attachments they say "Photo attachments are printed on high-quality, glossy photo paper, and secured to your Gmail Paper with a paper clip. MP3 and WAV files will not be printed. 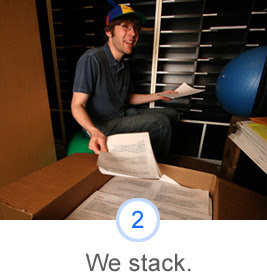 We recommend maintaining copies of your non-paper Gmail in these cases." Looks like they wanted to fool those users who wanted to print Mp3 and .Wav files ?? ?not you and me. And they say they will give you 100's and 1000's of copies of the mail.They say they use some recyclable paper for that.But when some billions of users order for 1000's of prints how much stamp paper is needed? ?Are they gonna make them also with their recyclable paper?? ?Moreover as a curious person,anyone will have curiosity to get some copies of mail in the start? ?Google even if employ people at a exponential rate,they can never produce this much amount of their so called paper.And don't forget to read those testimonials on the gmail paper page.Google even forgot to put a beta infront of its new services before it put some testimonials. Great try by the google to foogle its readers.